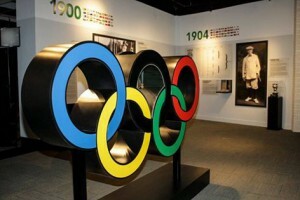 The world is ramping up to the 2016 Summer Olympics in Rio de Janeiro, and the World Golf Hall of Fame is celebrating with a new exhibit dedicated to golf’s place in Olympic history. Dubbed “Road to Rio: Golf’s Return to the Olympics,” the exhibit features two rare gold and silver medals won by H. Chandler Egan at the 1904 Summer Games, information about the Olympic qualifiers, changes to Olympic uniforms from 1900 to today, and more. Visitors can even have a photo taken on the Olympic podium holding their country’s flag.